This week, as I recover from jet lag, I’m sharing a blog post by one of the amazing students I had at UNH’s Summer Literacy Institute last year, Megan Dincher. Here Megan beautifully captures what can happen when we shift our teaching focus from seeking answers to thinking and hand over the role of “question master” to students. I used to provide discussion questions for my students. I would spend time thinking about book-specific questions that I could ask, questions that I thought would prompt complex discussion and make them really think about the text at hand. Sometimes, they did have really complex discussions, and I’m sure they spent time thinking about said text. But the discussion wasn’t as authentic as I wanted it to be, because I was telling them what to talk about. Now, there are always going to be things that we want students to talk about, and there’s a time and place for helping them understand things about a book that they might not have discovered for themselves. When I want my students to discuss a book–not necessarily analyze the book, but discuss it, I now have a different approach. To all subscribers: The completed post on deeper reading is now up at To Make a Prairie! Happy reading! And many thanks to all those who appreciated the Erratum! When my daughter was young, a teacher once asked her where her family came from. She said she really wasn’t sure but thought it might be England (which was, indeed, where two of her great-grandfathers came from). But she did tell her teacher what she knew for sure: that her mom always wished she was French. Clearly my love of France has added to the heartbreak I feel over these hideous attacks in Paris. But I’m also reminded of 9/11, when for weeks my eyes would well up with tears every time I opened my front door and left my home for the streets of my poor wounded city. During those weeks I carried a poem with me that the New Yorker ran the week after the Twin Towers fell. And I’ve found myself reaching for it again now as I look for something to hold on to in a world that, at this moment, has simply stopped making sense. I share it here because I also feel the need to open my door and join the world in all its grief and majesty. For years, Thanksgiving has been connected in my mind with NCTE, which holds its annual convention the weekend before turkey day. And for the third year in a row, I’ve sat at my desk after Thanksgiving to give thanks to all the people I heard at NCTE who inspired and energized me. This year, however, feels different because between NCTE and Thanksgiving something else happened: Ferguson. It’s become a word that stirs up a whole battery of feelings for me—from sadness to outrage to shame. Shame that we live in a country where people seem more expendable than guns. Shame that we can’t seem to bring ourselves to have the kind of hard conversations we desperately need to have about guns, race, poverty, inequality and what’s going on in our schools. NCTE helps me believe this in many ways. I might not have read Roxane Gay’s essay, for instance, were it not for my friend and fellow presenter Katherine Bomer, who shared some of Gay’s writing in her presentation last week. Then in one of those synergetic NCTE moments that Burkins & Yaris write about, I spotted Gay’s name in a tweet from another NCTE presenter Paul Thomas, who writes the thought-provoking blog The Becoming Radical. I checked out Gay’s essay, as I urge you to do, and was moved by her powerful words. And I was moved as well to make a donation to the Ferguson Library, which you can do by following the link at the end of the essay. Then there was the Convention itself. This year’s theme was “Story as the Landscape of Knowing,” but as happened before, I noticed a pattern in the sessions I attended, which suggested another related theme: the need for us, as teachers, to focus our work first and foremost on helping students build strong identities as readers, writers and thinkers who are able to raise their voices with confidence, conviction and compassion. The first session I attended addressed this directly, as educators Justin Stygles, Kara DiBartolo and Melissa Guerrette joined authors Lynda Mullaly Hunt and Liesl Shurtliff to talk about “Revising the Story: Reluctant Readers Overcoming Shame.” In different ways each speaker looked at what Justin called ‘contra-literacy’ practices—those things we do in classrooms which, while often well-intentioned, not only can kill a love of reading but breed a sense of shame. Each also shared personal and classroom stories of students who’ve shed the stigma of shame through teachers and books that helped them develop a sense of agency. And I left with two new must-reads: Lynda’s new book Fish in a Tree and Liesl’s re-imagining of Rumpelstiltskin, Rump, both of which have main characters who overcome a sense inadequacy to triumph. Next up was for me was Sheridan Blau, author of the great book The Literature Workshop. 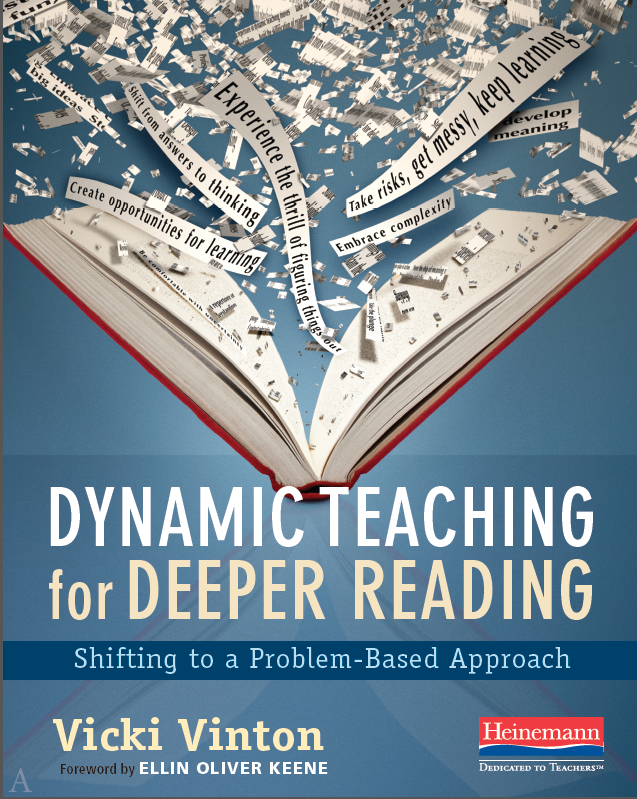 He, too, looked at practices that turn kids off of reading, including ones that promote what he called “inattentional blindness”—tasks that, by narrowing students focus to hunt for a particular thing in a text, blinds them to other things that might be more meaningful. He demonstrated this by showing us a video we later learned was called “The Invisible Gorilla,” and asking us to count how many times a ball was being passed—and intent on counting the passes, I completely missed the gorilla! And he proposed an alternative to those tightly focused tasks: giving students opportunities to bring their whole self to a text so that they can experience and feel a text before they’re asked asked to analyze it. I noticed the theme, too, in Matt Glover, Kathy Collins and Dan Feigleson‘s session on engaging and inspiring readers. Matt began by showing us how easy it is to help our youngest readers develop identities as readers. All we need to do is honor their approximations, give them some choice and listen. But he cautioned that it was just as easy to destroy those identities if we evaluate students’ choices and attempts. Next Kathy shared the idea of turning readers notebooks into scrapbooks that record students’ personal journey as readers—which, as a scrapbook lover, I adored. And Dan ended the session by sharing some of the ideas he explores in his new book Reading Projects Reimagined: Student-Driven Conferences to Deepen Critical Thinking, and showing us the thinking that emerges if, in a conference, we simply keep asking students to say more. Dorothy Barnhouse and Charlotte Butler also addressed this theme in their session, “Story as Identity: How Reading Conferences ‘Write’ the Stories Students Tell Themselves,” as each shared ways of turning what could be seen as a student’s deficits into a positive strength. 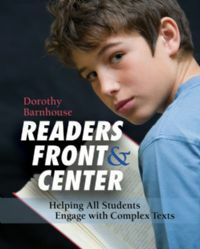 Dorothy, for instance, shared one of the conferences she writes about in Readers Front and Center, where a student’s apparent inability to infer becomes an opportunity to show him—and us—that it’s less important to ‘get’ something right away than to read forward with an open mind and a willingness to revise his thinking, which the student was able to do. Charlotte, on the other hand, shared work she’d done with Ken and Yetta Goodman on Retrospective Miscue Analysis, which also helped students recast what could be seen as mistakes into something more positive—in this case, minds striving to make meaning. Coincidentally or not, these themes were also present in the two sessions I participated in. As chair of “It’s Not Just for the Kids: Stories of What Can Happen When Teachers Embrace Curiosity, Openness, Creativity & Wonder,” I had the honor of introducing my session presenters, Fran McVeigh, Julieanne Harmatz, Steve Peterson and Mary Lee Hahn, all of whom met each other through this blog and only came to together in person last week. (They also each wrote about the session in their respective blogs, which you can read by clicking on their names). I’d asked them each to think of a question they were curious about and invited them to pursue that question and present what they discovered. And in each case they found that children can do far much more than we sometimes think they can, if only we open the door wide enough. Finally in “Embracing Complexity,” I presented alongside Mary Ehrenworth and Katherine Bomer who also focused on empowering students. Mary, for instance, shared the work she’s been doing to help students see multiple layers of ideas in nonfiction texts, which they can talk back to. And Katherine made a passionate plea for us to leave behind formulaic structures and cutesy metaphors like hamburgers when we teach writing essays and instead return the the root of the word—’to try’ or ‘attempt’ not ‘to claim’ and ‘prove’—in order to create something that’s more exploratory than declarative and raises more questions than answers. And that brings me back to Roxane Gay, who asks this critical question: “How do we see one another as human, as having lives that matter, as people deserving of inalienable rights?” I believe the answer lies in part in classrooms and in people like the ones I heard at NCTE who are trying to help children revise, rewrite, recast and reimagine the stories of their lives so that we can all be and do better. And that makes me both hopeful and thankful in a time of sorrow. I’ve thought about writing this post for a while but was finally inspired—and emboldened—by a wonderful article I recently read called “Reading Is About More Than Evidence” by educator Mia Hood. Her work in classrooms led her to observe and question many of the same practices I’d noticed, too, but before I launch into that, I first want to be crystal clear: I dearly want students to have deep and meaningful text-based discussions that are rooted in the details they’ve noticed and what they think the author might be exploring about the human condition and life through the details she’s woven across the text. And I want them to write their ideas about that in the most thoughtful, insightful and text-based way possible. But to be frank, I don’t like the word evidence. It’s a word I associate with courtrooms, crime scenes and forensic labs, not really with reading and writing. And when I look up the noun form of the word claim in the dictionary (as I did in my earlier post about rigor), the word has some strange connotations, which can also be seen in the thesaurus where words like pretense, right, assertion and declaration are listed as synonyms. There’s something a little aggressive about these words; they invite challenge, dispute and/or concession, not consideration and reflection—and for me, they conjure up visions of miners staking claims to land they then protect with rifles and baited traps. Mia Hood worries that the word evidence has “seeped into our students’ ways of thinking about [texts]” in ways that are making them “think that a text’s raison d’etre is to serve as evidence.” And this is often reinforced by the tasks we set students up to do as they read. 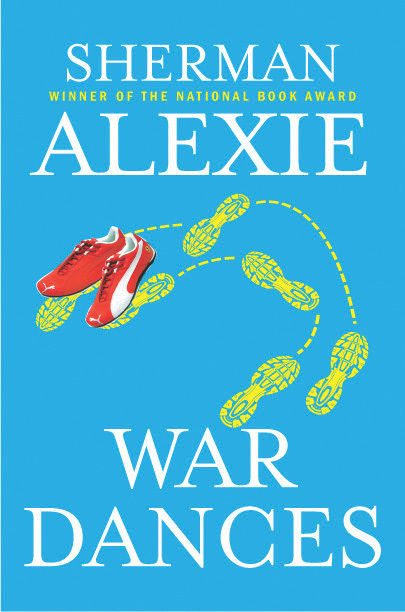 I’m reminded, for instance, of a high school teacher I worked with who had his students read Sherman Alexie‘s intriguing and complex (in terms of ideas, if not Lexile levels) story “Breaking and Entering” from his collection War Dances. It’s about a Native American film editor—whose job, as he sees it, is to “omit all necessary information” in the films he edits—who recounts how he came to kill an unarmed black teenager who had broken into his basement to steal things. 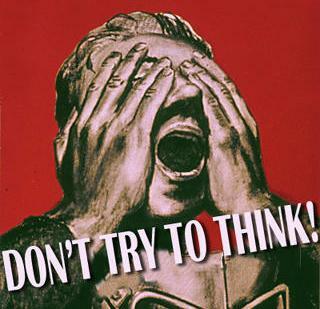 The story raises all kinds of questions about race, identity, power, and the manipulation of information; yet the teacher was using the text not to deeply explore these ideas, but to help students hone their argument skills by having them debate whether or not the character was guilty of murder or had acted in self-defense. And after a first read to get the gist—and have a brief talk about the story—they were then asked to reread it in order to collect evidence for their debate position. I wasn’t there when the debates took place, but I’m often in classrooms where students argue two sides of an issue either in response to a prompt or assignment, as in the case above, or to students’ ideas. 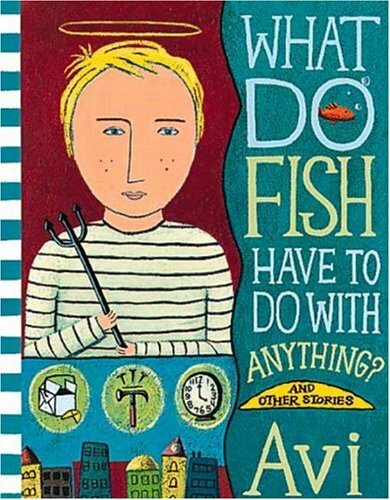 The latter happened in another classroom I worked in where students were reading Avi’s odd but compelling story “What Do Fish Have To Do With Anything.” In this story, the main character Willie is intrigued with a homeless man who appears across the street from the apartment house where he lives with his depressed mother who doesn’t want Willie to go near the man. Wille’s father had abandoned the two of them six months previously, and as happens with many students I’ve read this story with, some think the homeless man is Willie’s father. In fact, some hold on to that idea right up till the end, at which point, with no further clues appearing to support it, they have to shift and consider instead what the writer might be trying to show if the homeless man was just that. This particular class, however, had also been practicing ‘grand conversations’, which their teacher described as student-led discussion in which students make differing claims about a text. Shortly after they encountered the homeless man in the story, she suggested that rather having me facilitate their discussion, we let them have a grand conversation, which the students enthusiastically leapt into. The problem was that the students seemed to think that the point of the conversation was not, as Grand Conversations authors Ralph Peterson and Maryanne Eeds wrote, to “experience in a dramatic way what it means to construct meaning,” and the students “take note of the shifts in thinking that occur as the interpretation of a text evolves,” but win an argument. And as the students started to argue their claim, their voices rose, they stopped listening to each other and seemed intent on only making their point. These students would have benefitted much more by reading forward with their minds still open, attending closely to all the text held rather than hunting only for details that would support their prematurely made claim. But by focusing our teaching on how to make claims and back them up with evidence, we sometimes neglect teaching them how to construct an insightful and supportable idea in the first place. And I think this is in part because of our word choice. We talk about claims instead of interpretations and evidence instead of details and this has several effects. One is that, intentionally or not, we often ask students to make claims before they’ve really had a chance to think deeply about a text, which often leads to superficial or shallow claims. And sometimes we accept those so long as they’re backed up with evidence. But the other consequence is even more troubling. I believe that potential to find or create meaning in books is the greatest gift reading gives us as it impacts not only our understanding of a text, but of ourselves, others and the world we live in. I don’t, however, think that we have to stake a claim and argue over which is more important. 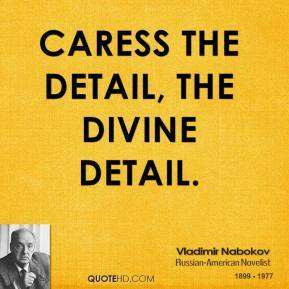 If we help students see how readers make meaning and construct interpretation by, as the writer Vladimir Nabokov says, “caressing” details and connecting them together to consider whatever nuggets of wisdom they reveal across the entire text, they can then turn those more informed and nuanced interpretations into claims, using the very details they noticed to build their interpretations as evidence. 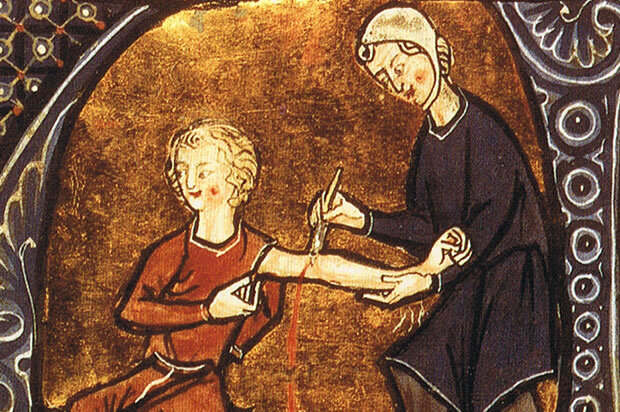 Of course, teaching students to construct interpretations is much harder than teaching them to support claims with evidence, which is perhaps the other reason why we don’t always go there. But isn’t it worth the time if it helps students build not just one but two capacities to think and understand deeply, as well as gives them a more meaningful—and accurate—vision of what it really means to read? I’m off to Ohio later today to participate in this year’s Dublin Literacy Conference along with authors and educators Ralph Fletcher, Louise Borden, Kate Messner, Sara Kajder and Jarrett Krosoczka. Organized by the Dublin City Schools—where teachers, authors and A Year of Reading bloggers Franki Sibberson and Mary Lee Hahn work—the Conference’s motto is “Capture the Joy of Literacy”. And here I’m offering a sneak peak at one of the sessions I’ll be leading tomorrow on Re-Inventing Small Group Instruction in the Age of the Common Core. At their best, I believe the Common Core Standards offer us a unique opportunity to reflect on our current practices and consider how they do—or don’t—help students become the independent thinkers, readers and meaning makers we all desperately want them to be. And as I look at some of the popular practices involving small groups in classrooms, I’m not sure I always see how they directly help students think more critically and deeply about the texts they’re reading, let alone the more complex ones the Standards expect them to read. In strategy groups, for instance, students are asked to bring their independent reading books to the group for a lesson on a particular comprehension strategy, which they are then asked to practice whether or not that strategy is needed to get more out of the particular page of the particular book each student is reading. In this way, I think we teach strategies more as habits of good readers than as tools that allow readers to dig deeper. Some strategies, in fact, like predicting and connecting, can actually pull students out of the text instead of drawing them closer. And as I looked at in a recent post, it’s possible to use a strategy like visualizing and actually miscomprehend because you haven’t attended to the textual clues needed to ensure that the movie in your head reflects the words on the page. In traditional guided reading, on the other hand, the teacher introduces the text and often offers additional supports, such as background knowledge, vocabulary, and with younger students, picture walks. Then the students are asked to read the text by themselves, with the teacher sometimes listening in to check for fluency or word-solving strategies. The students’ comprehension is then checked during the post-reading discussion—not as they read, which is, in fact, when they’re actually constructing whatever meaning they’re making of the text. In this way, traditional guided reading has us assessing our students’ comprehension instead of helping them build it beyond the word-attack level. 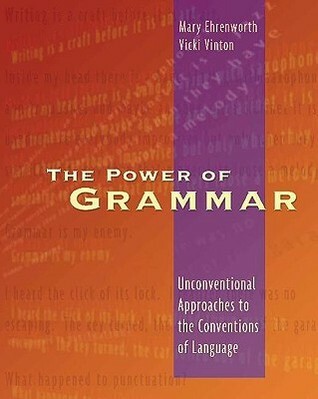 And while the kinds of complex texts the Standards want students to read are, indeed, filled with vocabulary challenges, they put plenty of other demands on students, especially the need to infer almost everything from a character’s name or situation to the significance of imagery to the theme or author’s message. 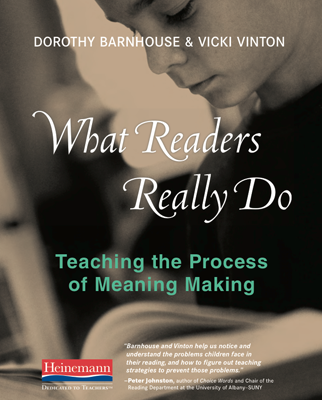 Because of this and the vision of reading for meaning that Dorothy Barnhouse and I map out in What Readers Really Do, I like to use small groups to give students the opportunity to practice the kind of complex thinking they’ll need to engage with complex texts. And this has several implications on both what and how I plan and say in those small group settings. In terms of planning, it means that I don’t just go to the book room and pluck a text from a guided reading level bin. I look instead for texts that operate in a particular complex way that I think certain students will benefit from wrestling with. Here, for instance, is the opening page from Peggy Parish‘s No More Monsters for Me!, which I recently chose for a small group of second grade students who all seemed stuck at Level J. As you’ll see, Parish throws us into a scene without any background information, relying us to figure out exactly what’s going on. It’s a literary technique that readers frequently encounter as they read more complex books; in fact, it even has a name: in media res, which means “into the middle of things.” Here the characters are in the middle of a conversation that may have happened before (and which we, as proficient readers, might infer has something to do with pets or bringing wild creatures into the house). If we take away the supports we might provide in a typical guided reading lesson—no introduction that would reveal the main character’s name and predicament, no picture walk that would all but give away the whole arc of the story—we open the door, instead, for students to wrestle with a kind of thinking they’ll need to keep growing as readers. In a different vein, here’s an excerpt from Tony Johnston‘s Any Small Goodness, which uses figurative language and imagery to convey the main character Arturo’s feelings and thoughts on his first day of school in America. A small group of students engaging with this passage would have the opportunity not just to identify the figurative language (which is sometimes where our instruction has ended), but to think about its possible meaning within the context of the story—i.e., what might the writer be trying to show us through her choice of similes and images. And this thinking work is directly related to the Common Core’s Anchor Reading Standard 4 and is needed to understand many complex texts. In terms of implementation—the how—I combine Peter Johnston and Carol Dweck‘s ideas about the importance of helping students develop growth- or effort-based mind-sets with the notion of ‘productive struggle,’ which is becoming increasingly popular in math. Both Johnston and Dweck have concluded that we serve students best when we allow them to see what they can accomplish through effort and hard work rather than relying on innate talent or intelligence. This means that we must create opportunities for students to potentially succeed through hard work and effort, which is the basis for the productive struggle approach in math, which sets students up to problem solve with a minimum of modeling or guidance. Importing these ideas into small literacy groups means letting students wrestle with the texts I’ve chosen specifically for their problem solving opportunities with as little intervention as possible—until the end when I wrap up the lesson by naming for them what they were able to do and how. For the second graders reading No More Monsters for Me! that meant not only figuring out what the mother and daughter were fighting about (which they inferred from the word ‘yelled’) but what the words ‘Minneapolis Simpkin’ referred to. It took them six pages, much conversation and much poring over the text to reach a consensus about both of those, but along with way they learned many things about how texts operate. And they left the group with a sense of accomplishment that I believe will help them enormously grow and develop as readers.